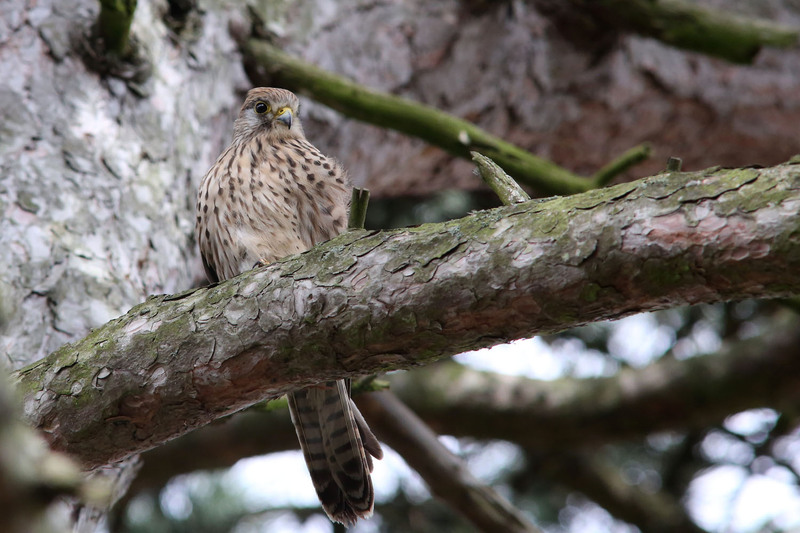 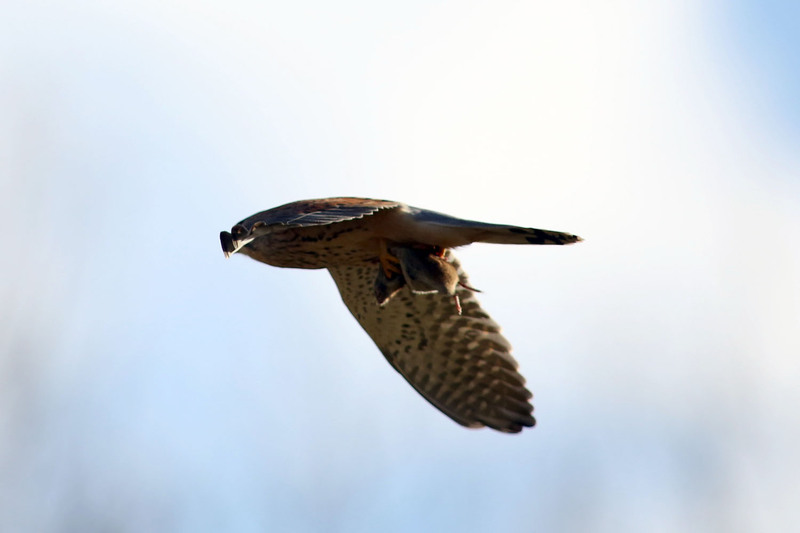 To be honest, you're more likely to see a Sparrowhawk than a Kestrel in most gardens. 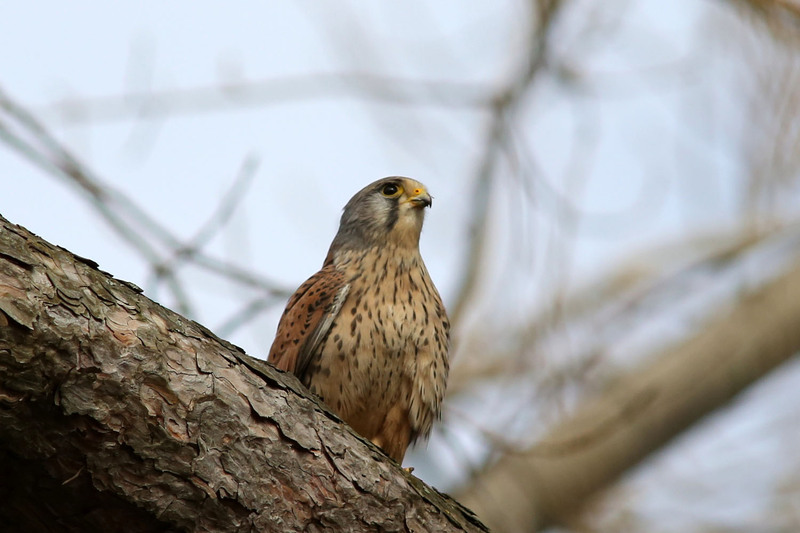 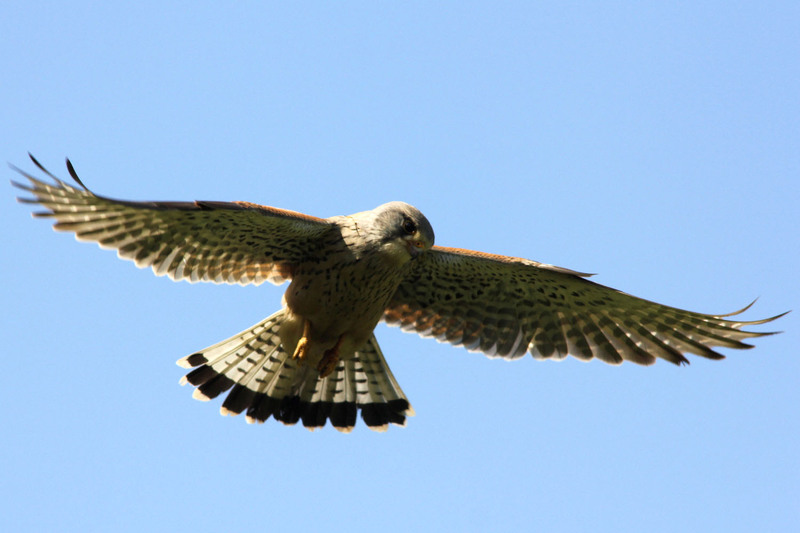 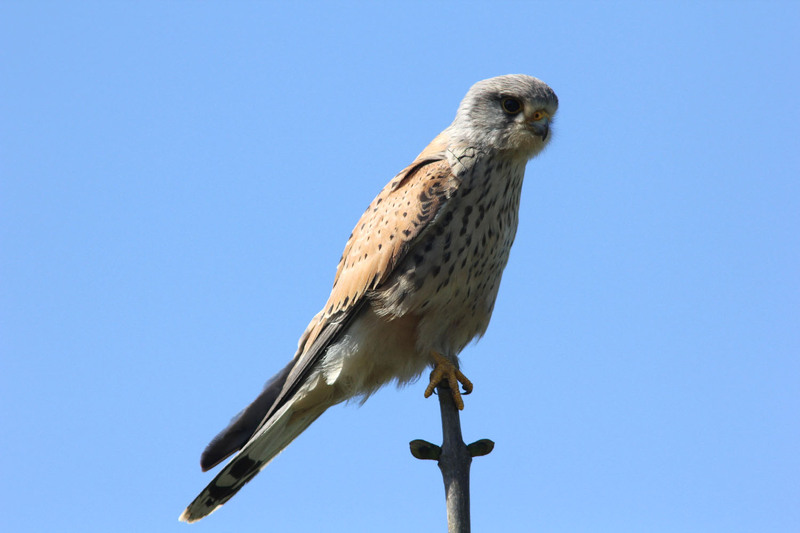 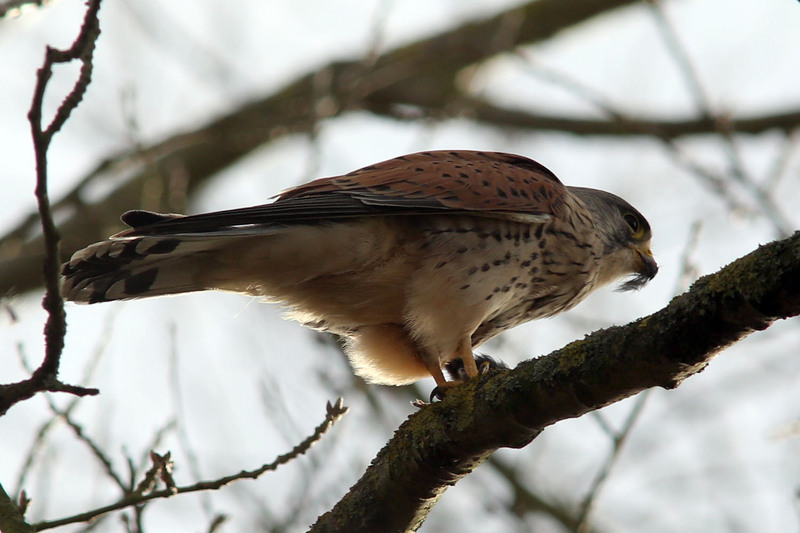 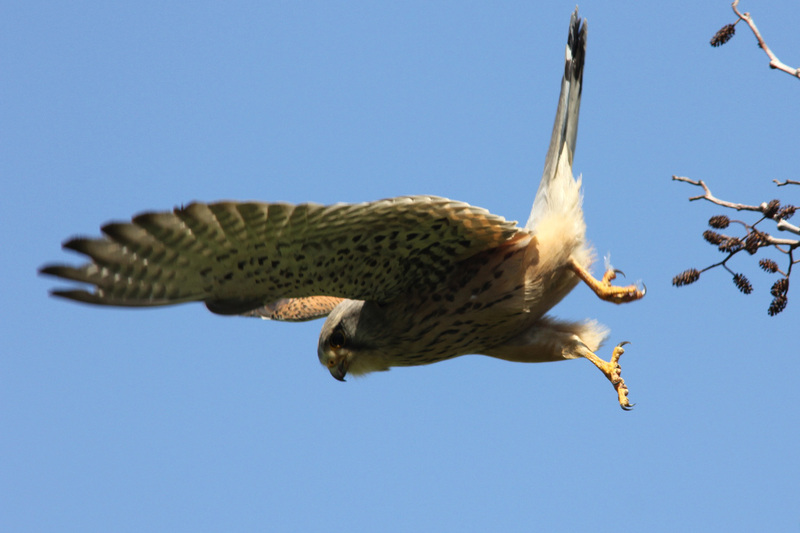 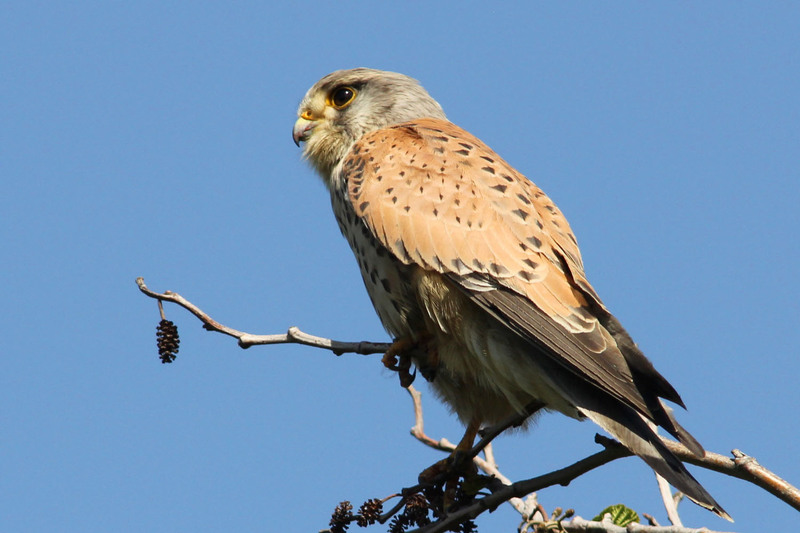 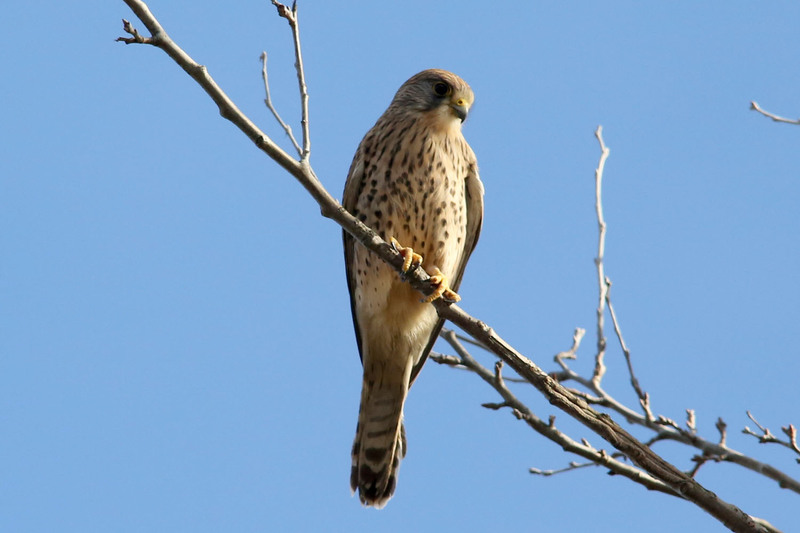 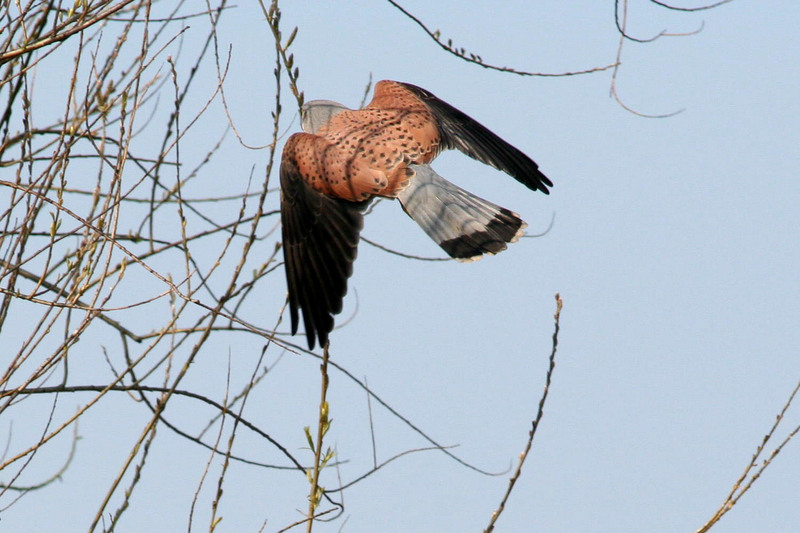 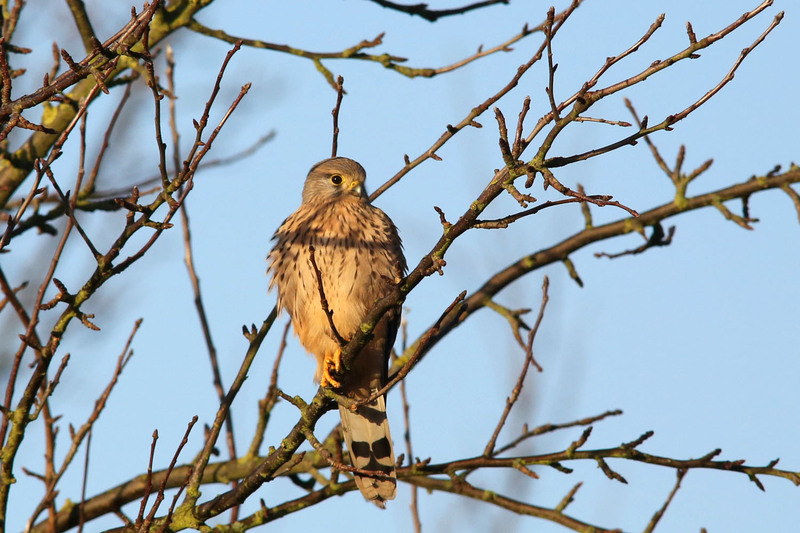 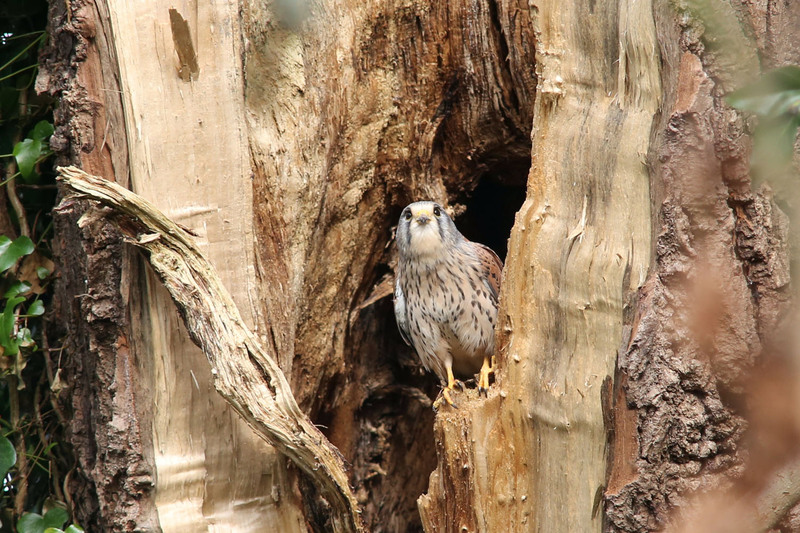 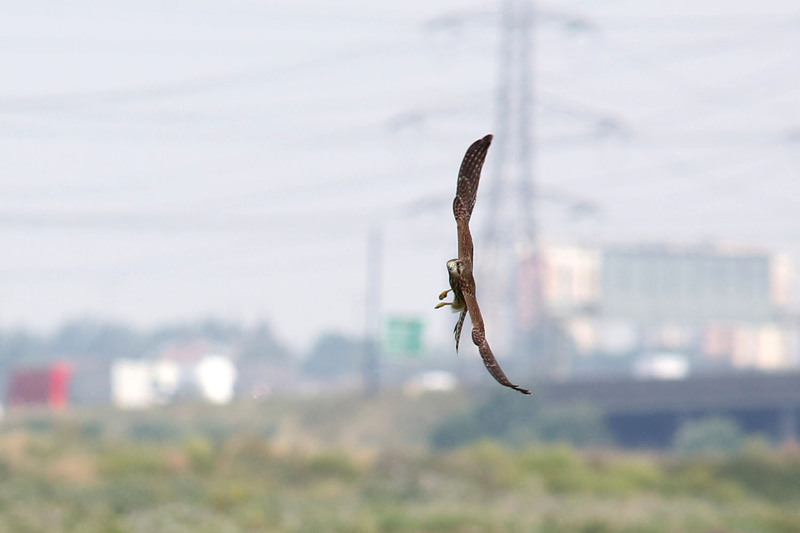 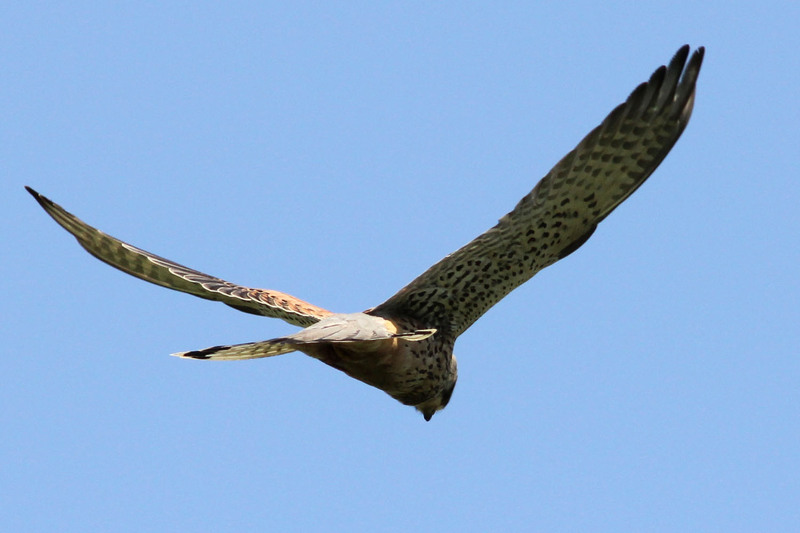 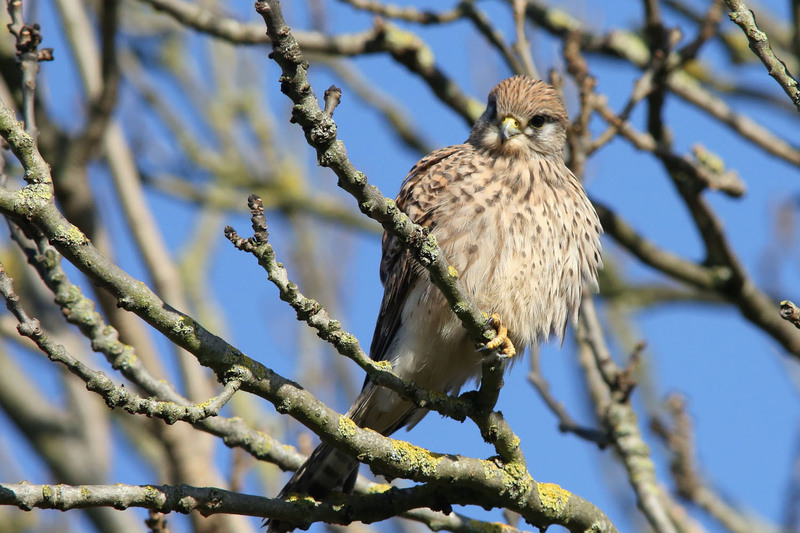 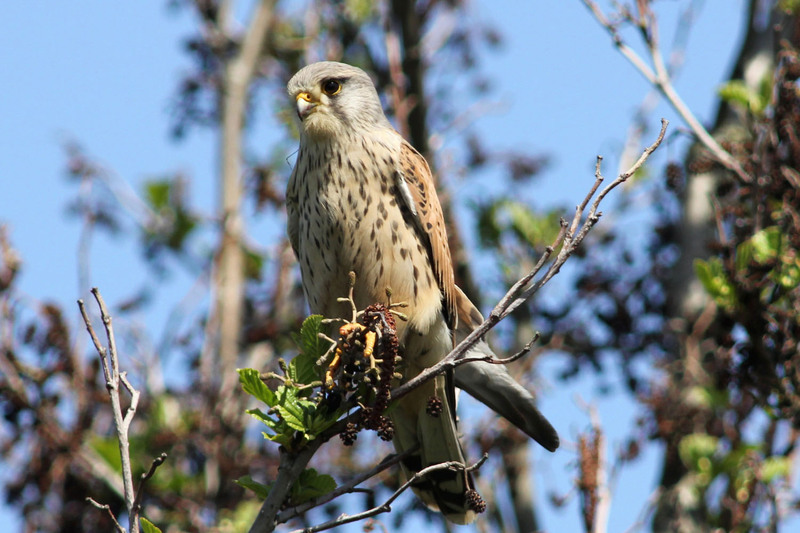 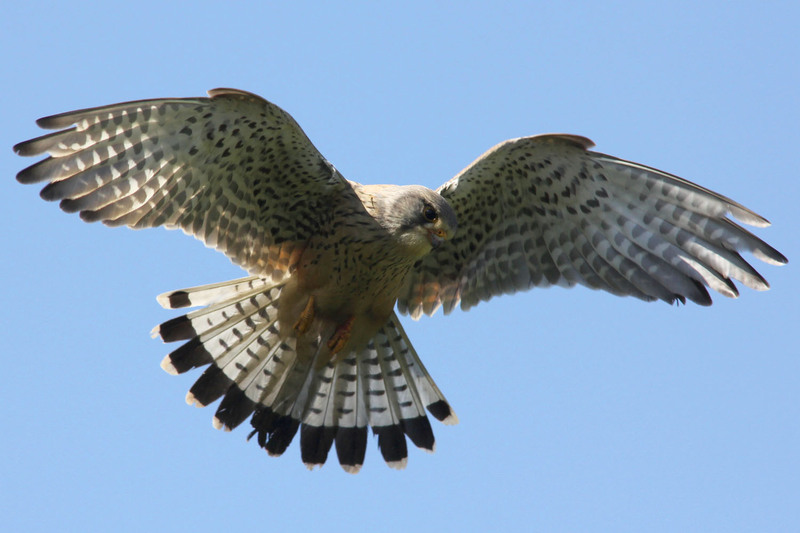 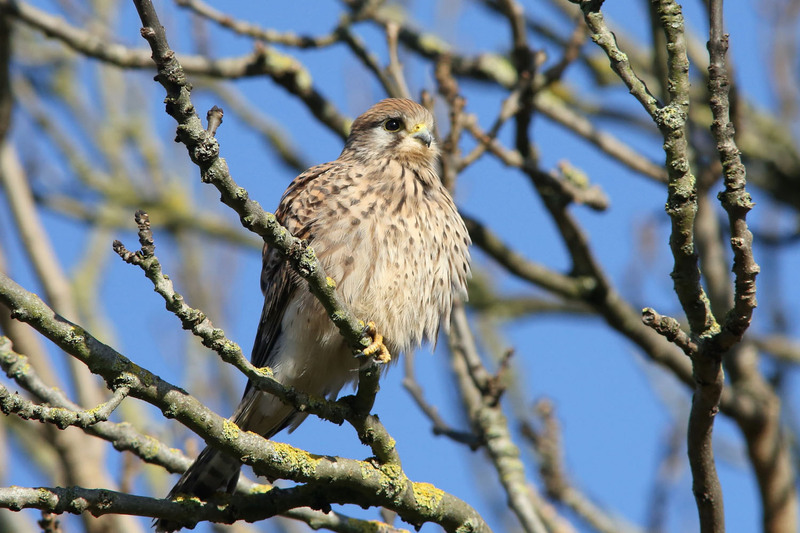 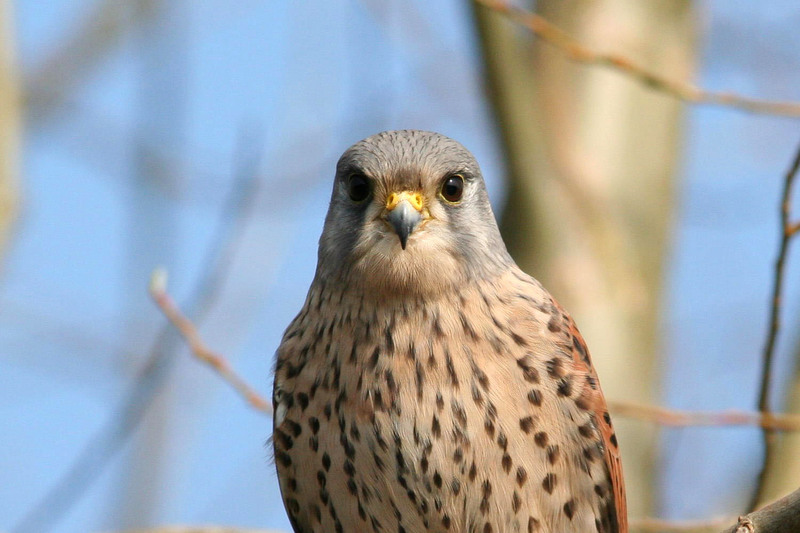 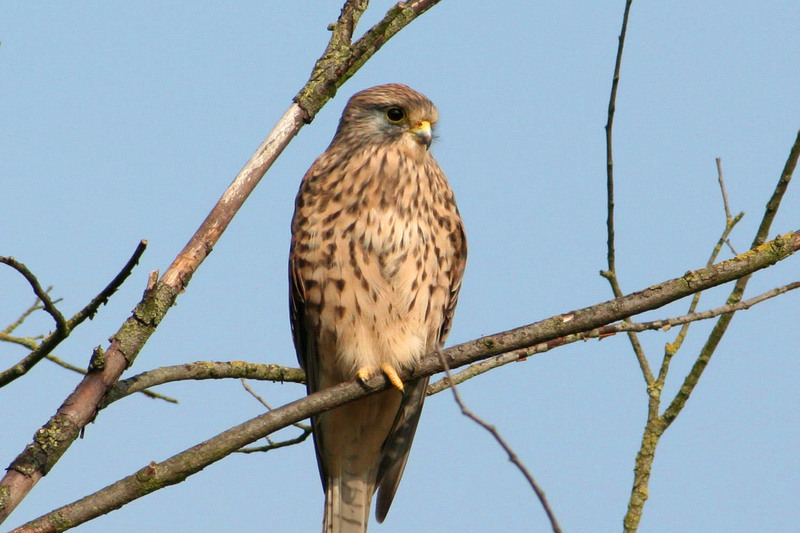 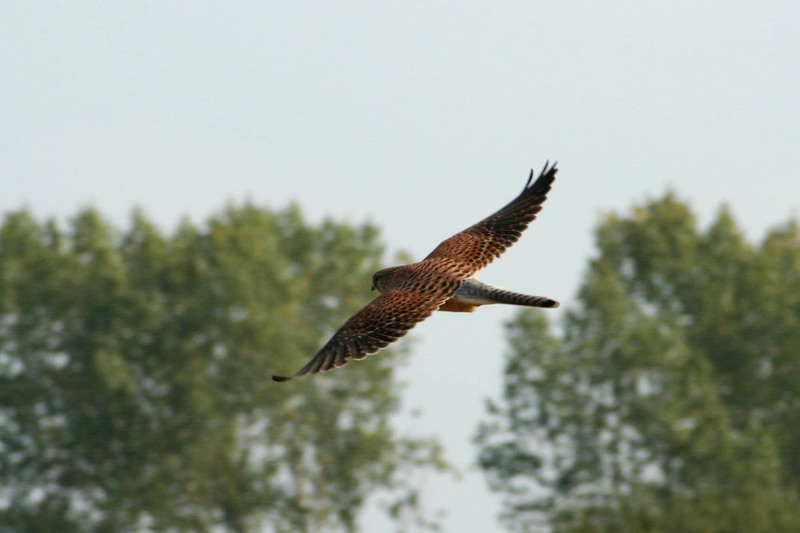 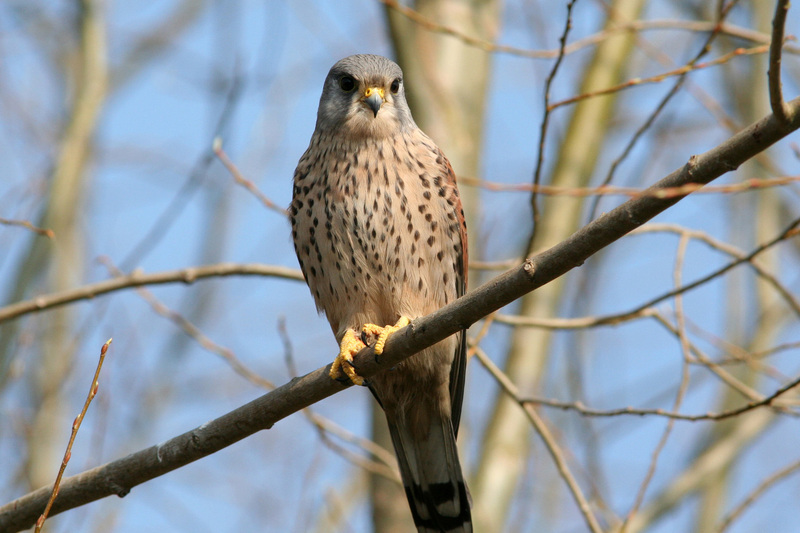 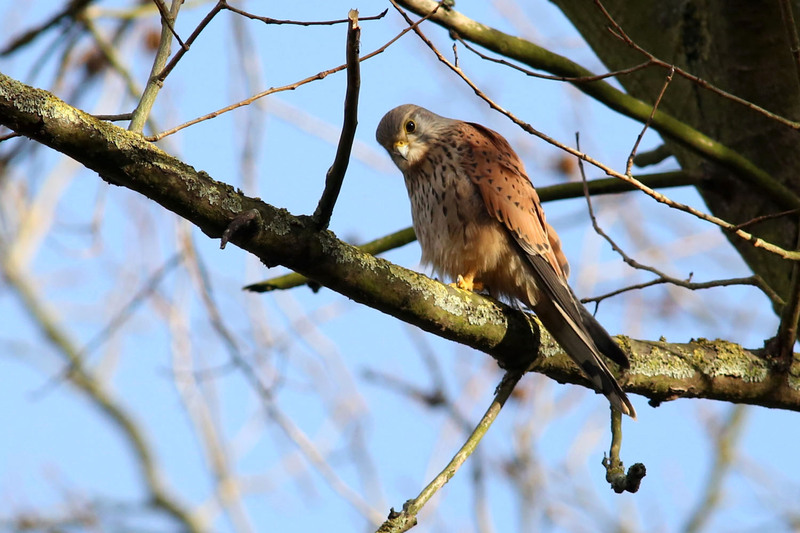 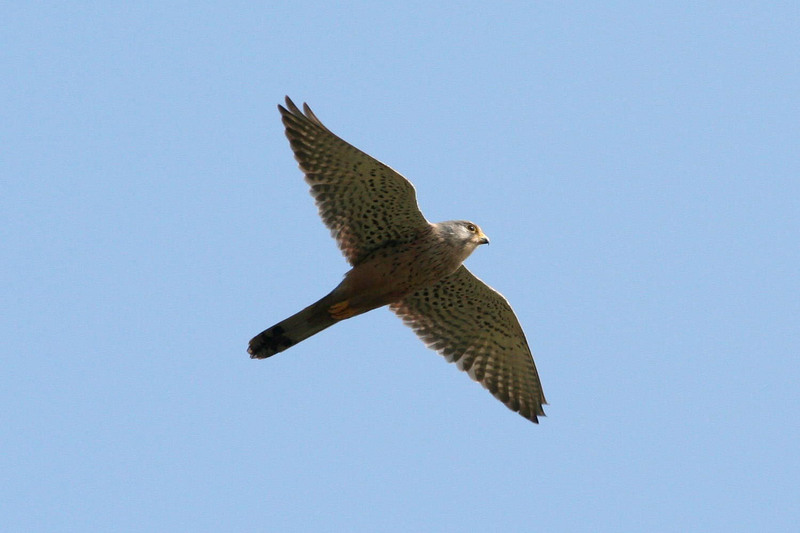 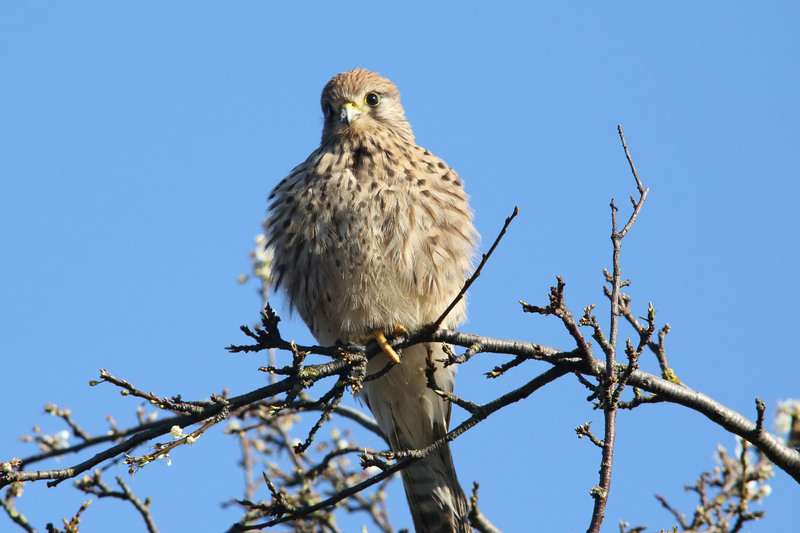 Kestrels prefer open ground and are the birds that can often be seen hovering over the spaces next to motorways. 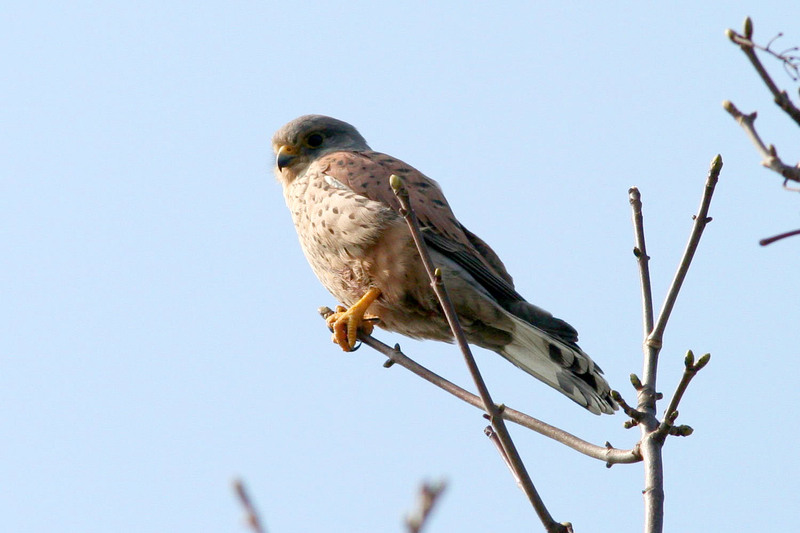 The male has the more distinctive grey head and tail feathers. 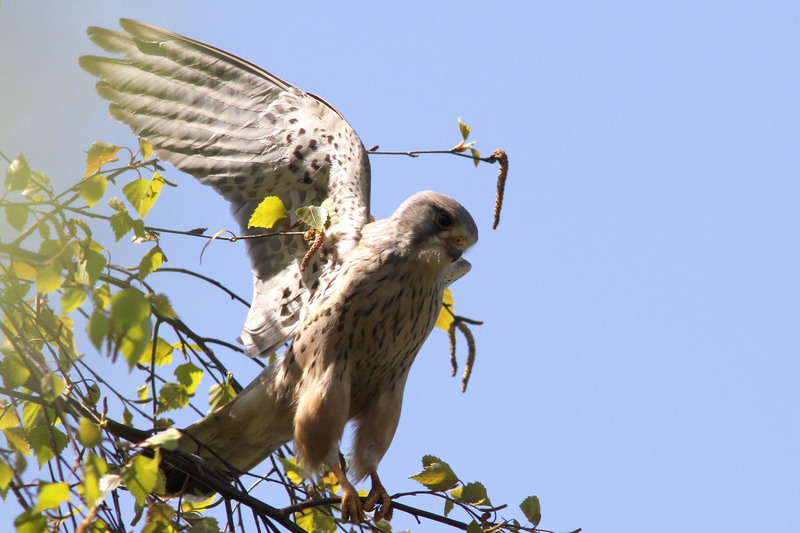 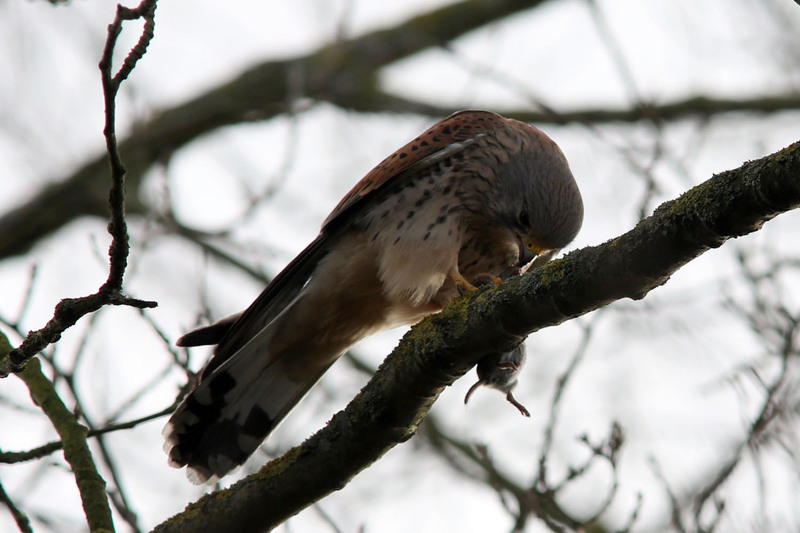 A male Kestrel searching for prey from a tree and in flight.